I love their work. 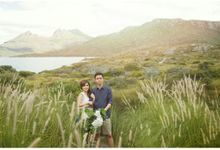 When i got married, i trusted them to capture our family portrait :) Great work! studio indoor nya menarik dgn beragam pilihan. fotonya bagus, editingnya top banget hasilnya. overall sangat memuaskan memenuhi permintaan kita yg macem2 hehe.. Perfect Photo Package!! 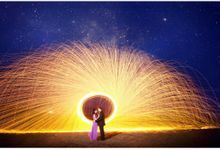 Wonderful decoration, excellent service, awesome photo result, great photographer. Love It. 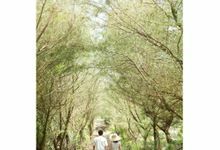 Like It..
Kencana art photo and videography has great shots and creative ways to capture beauty and moments. The lighting is great and the way they fill in the color is amazing. A top notch choice in photography and videography. We are unique because we can understand the clients' needs and translate them into a perfect beautiful photos & videos. 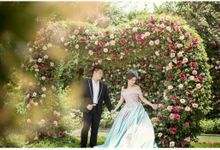 As Kencana Photography has been established since 1981, we have more than 30 years of experience in serving the needs and wants of our clients. Our business started since 1981. We have more than 30 years of experience in providing high quality services & products for our clients. We charge per event, depending on the package that the client agreed upon. 3-4 months after the event has occured. 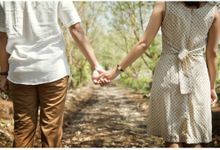 The most ideal time for a client to contact us would be 6 - 12 months prior the wedding date. Depending on the scale of the wedding, we usually adjust the number of team involved accordingly. However we also have a minimum amount of crew required to handle a single event. Our team are experienced journalists and story tellers who have been trained for long time in capturing moments. 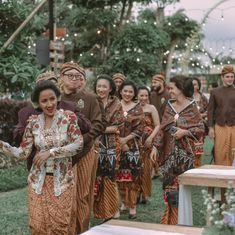 We know the standard flow of wedding ceremony regardless if it is ethnic traditional or international, therefore clients can rely on us for giving directions on what to do during the wedding day. Equipped with the latest HD SLR cameras, HD video cameras, drones, and equipments, we are confident to present the clients the best of their moments. We usually take care of our meals during the meal break. However, if the clients gracefully provide the meals for our crew then it will be appreciated. Founded in 1981, Kencana Art Photography is the biggest photo studio in Yogyakarta. We own a private outdoor location for photoshoot called Royal Kencana Mansion. 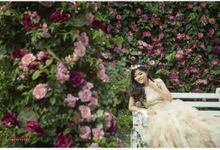 Royal Kencana Mansion has flower garden, mini chapel, carousel, artificial lake, bamboo forest, tree house, gazebo, cafe, waterfall, and many other landscapes. 2 MURI (Museum Rekor Dunia Indonesia) awards are given to us for our marvelous private outdoor location.